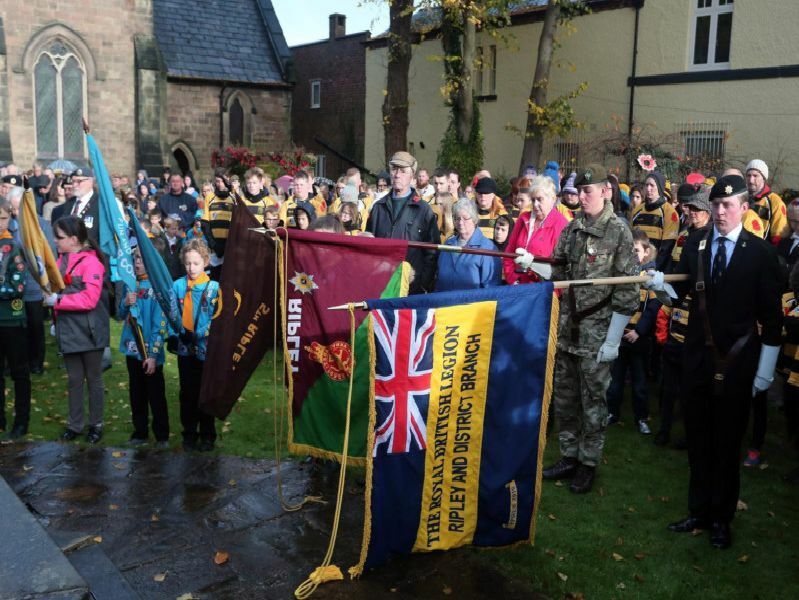 Commemorations have taken place in Ripley to mark 100 years since the end of the First World War. Armed Forces personnel past and present were joined by local dignitaries, civic leaders and community organisations, with a parade from the Co-operative car park and a service at All Saints Church. Photos by Eric Gregory. Salute for the fallen by former soldiers. Standards are lowered for the Last Post. The Last Post played by David Hill. The Ripley town wreath was placed by former mayor Sheila Emmas-Williams.